TLDR: Definitely immediately improves measurable symptoms of ketosis, but terrible taste and only 15 days of product if you take the recommended 1 serving/day. To start, we mixed it with unsweetened vanilla almond milk. Jackie: UGH. The first thing that hits me is how artificial it tastes, it’s almost difficult to stomach. I was hoping it would be more like Optimum Nutrition’s Chocolate Whey but this has an almost acrid, yet sour sweetness to it. It’s sickly sweet but more akin to salty stevia candy than chocolate. The flavor is really confusing, and was all around not pleasing. The texture of Perfect Keto’s BHB exogenous ketones was a-okay. It was mixable by hand with some vigorous fork swirling but was effortlessly blended in a bullet blender and shaker. Even when chunks remained, they were not noticeable when drinking it. No issues here. 0.3 mmol to 1.0 in 3 hours. EH? COUNT US IN. Using our Precision Xtra Blood Ketone Monitoring Meter Kit and our Keyto device, we also saw a similar trajectory to the Amazon review above. So are BHB salts good? Maybe. I did notice an immediate feeling of satiety which I often do with keto supplements. But the taste is so horrendous that I’m not sure if I’m truly full, or if my taste buds are simply offended and defeated. But regardless of the taste, it seems to get you “back in to ketosis“, alright. 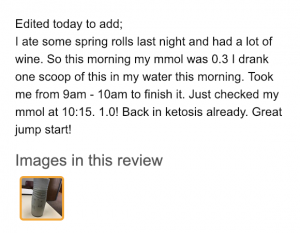 Perfect Keto’s exogenous ketones / BHB supplement seems like a poor value to us. It might help with facilitating ketosis – but a daily fee would range from $3.74 /day to $11.22/day if you used it every day, one to three times a day. Overall, it definitely seems to work but it is horrendous. Simply horrendous. I’d rather intermittent fast than keep consuming this. 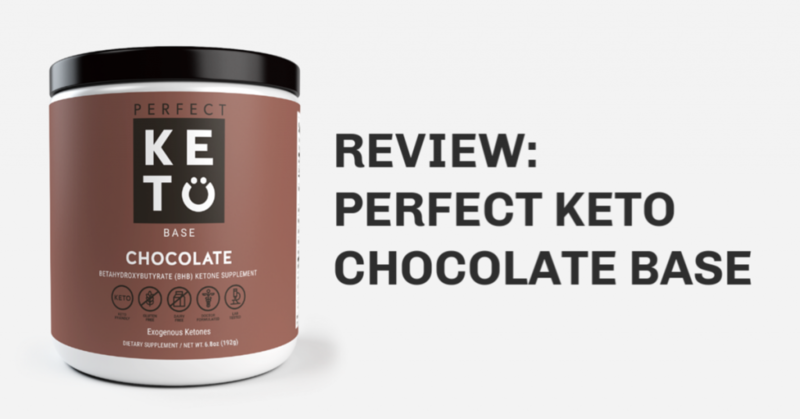 It’s also quite expensive at almost $4 a day, but if immediate positive feedback is your thing, Perfect Keto’s Exogenous Ketones base in chocolate will probably do it for ya. On the positive side, it did improve my satiety and mental focus, so for that we’ll give them a 3/5.